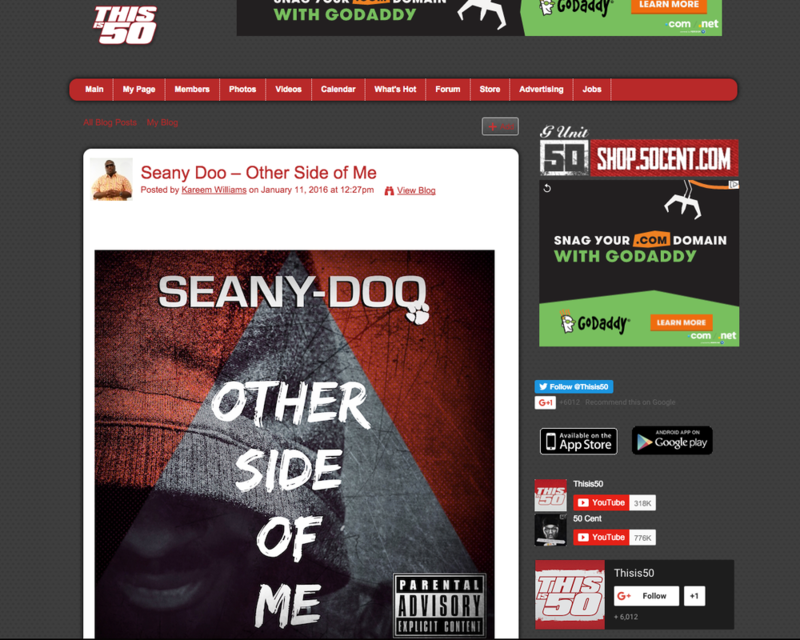 "SEANY-DOO IS RISING FROM CHICAGO AND IS FRESH OFF THE RELEASE OF HIS LATEST PROJECT, 'OTHER SIDE OF ME'." 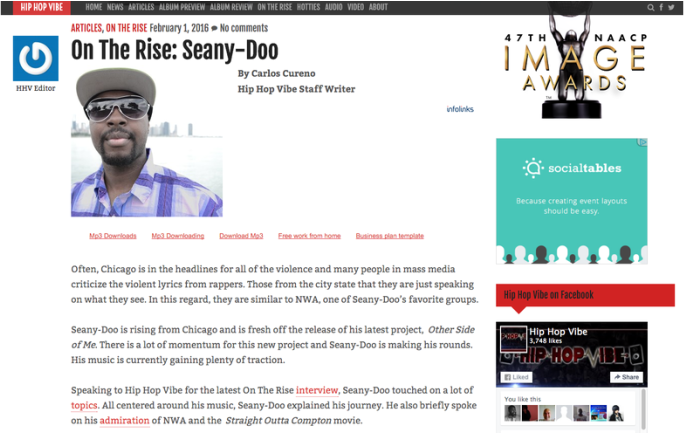 Interview with "Hip Hop Vibe"
"Seany-Doo is rising from Chicago and is fresh off the release of his latest project, Other Side of Me. There is a lot of momentum for this new project and Seany-Doo is making his rounds. His music is currently gaining plenty of traction." Interview with "This Is 50"
"'Other Side Of Me', showcases the misfortunes and hardships Seany-Doo has experienced, growing up in Chicago’s high-crime area known as “Englewood”. The album also portrays Seany-Doo’s personal view on how he feels about his home city and the music he makes. " 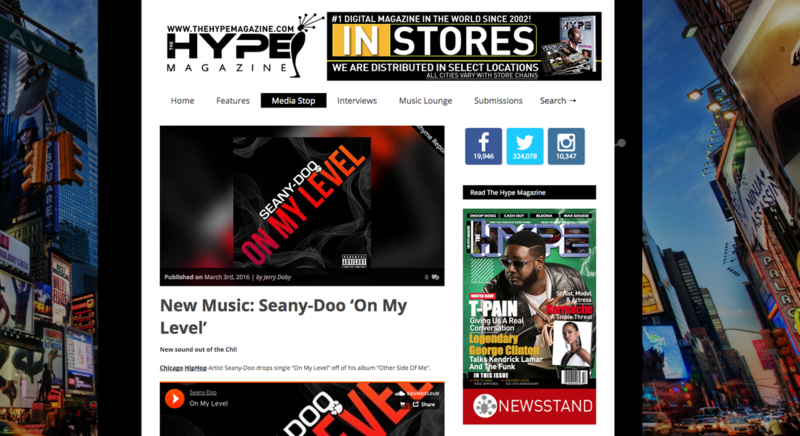 Chicago Hip-Hop Artist Seany-Doo drops single “On My Level” off of his album “Other Side Of Me”. Click the player below to play the full interview.